The 10 Best Yoga Studios in Washington State! To lead a healthy lifestyle, it’s essential to escape your busy schedule and put your mind and body at ease. Yoga promotes wellness by bringing balance to life and a chance to experience community in an entirely different way. Below are 10 of the best yoga studios in Washington State that can help you achieve the health and state of mind you desire. Namaste! If you’re looking for a relaxed atmosphere that offers a wide range of yoga for young and old, visit Source Yoga. With a focus on mindfulness, Source Yoga has something for everyone. Whether you’ve been doing yoga for years or just starting, there are classes and levels for your skill and interest level, including a six-week introduction to yoga class and one using gentle movements and strengthening exercises for those recovering from injury or other issue. They also offer kids’ yoga camps in the summer, family yoga, and pre- and post-natal classes. The instructors at Samdhana-Karana Yoga in Tacoma, Washington, are entirely devoted to helping you have a fulfilling and wonderful experience. Using a community-based approach, this non-profit yoga studio believes that health and healing should be available to everyone. They work to make that happen by offering affordable classes that are designed to meet your needs. Wholeness, connection, and community are the cornerstones of Be Yoga located in Burien, Washington. Their teachers are devoted to creating a peaceful and welcoming environment that supports healing with schedules and classes that meet your needs. Bikram Yoga is one of the various types of yoga offered here, and helps to teach students of any age or stage of life get in touch with their body, mind, and each other. 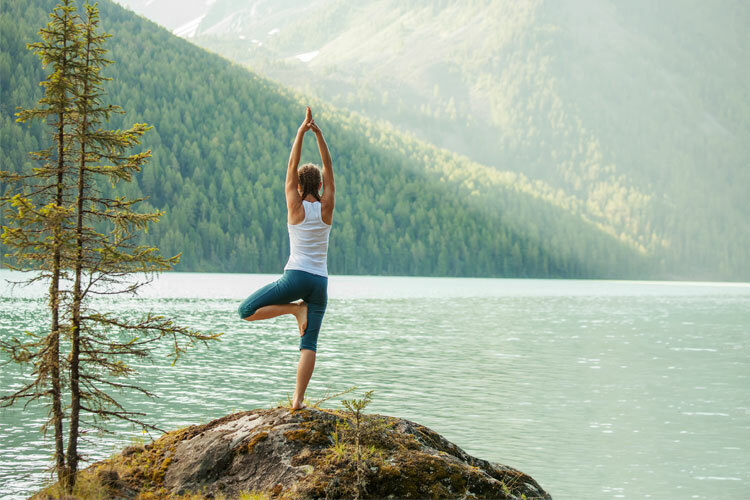 At Tuladhara Yoga in Lakewood, Washington, you’ll find several choices of yoga classes and wellness events for all skill levels taught by certified professionals. Find your balance and restore your health through group or private lessons, and improve your workplace performance by promoting a yoga group at your place of business. New student specials are offered on their website and worth checking. Amazing teachers and a beautiful space to find your balance is what you’ll find at Longevita Pilates and Yoga Studio. Located in Auburn, Washington, you’ll feel the positive energy, and be able to choose a form of activity that meets your need in a group or private setting. The relaxed atmosphere lends itself to promoting positive change no matter what your skill level or ability. Helping clients find balance, strength, flexibility, and coordination is paramount to the mission of this studio. Body, mind, and soul all come together at Vancouver Yoga Center located in Vancouver, Washington. The ability to stretch your body and your mind is the goal of each instructor and you can move at your pace for $5 per class. No special equipment is needed, and there is an emphasis on self-care so you can care for others. Physical therapy and nutritional instruction is offered as well. Birthed from a desire to create a peaceful place to relax and heal, three friends created Three Trees Yoga & Healing Arts Center. Located in Federal Way, Washington, the studio offers classes to relieve stress, manage and reduce pain and weight, improve breathing, flexibility, circulation, and strength, and encourage inner peace. Yoga classes for kids are offered, and special events like Yoga on the Beach and other body-specific workshops are held regularly. Yoga brings people together, provides grounding, and helps promote physical and mental awareness that changes lives. At Ashram Yoga, the family atmosphere encourages growth and exploration through power yoga, Bikram, Yang and Yin, and Hamsa Hatha Kriya techniques. Classes for children are offered as well, with the same goal of learning to live mindfully and peacefully. One of the main goals of Bindi Yoga in Lynnwood, Washington, is to change the way people think about yoga. This is done by using core-strengthening exercises that increase flexibility and promote balance. Bindi yoga uses controlled room temperatures to increase the intensity of the workout which in turn burns more calories and releases more built-up toxins from the body. Living a better life through breathing is what Bindi Yoga is all about. No matter what the reason is that draws you to yoga, Pure 8 Hot Yoga Studio in Issaquah, Washington, is the perfect place to find the balance you seek. Hot room yoga allows better circulation, increases muscle function and release of toxins from the body, and gives a full cardiovascular workout. Light clothing is advised, and you’ll need your own mat, towel, and water.